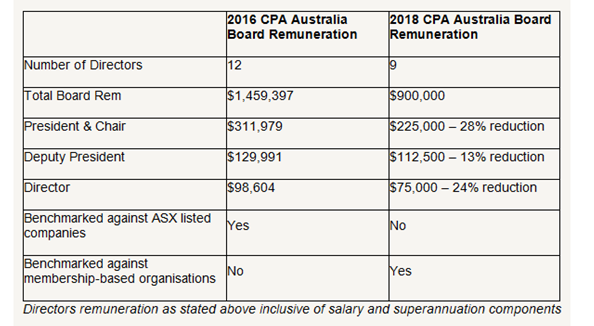 CPA Australia has locked in its director remuneration figures for 2018 and responded to member calls for legal action to be taken against the board that existed during the era of former CEO Alex Malley. Overall, CPA Australia has cut its spend on board remuneration by about $560,000. 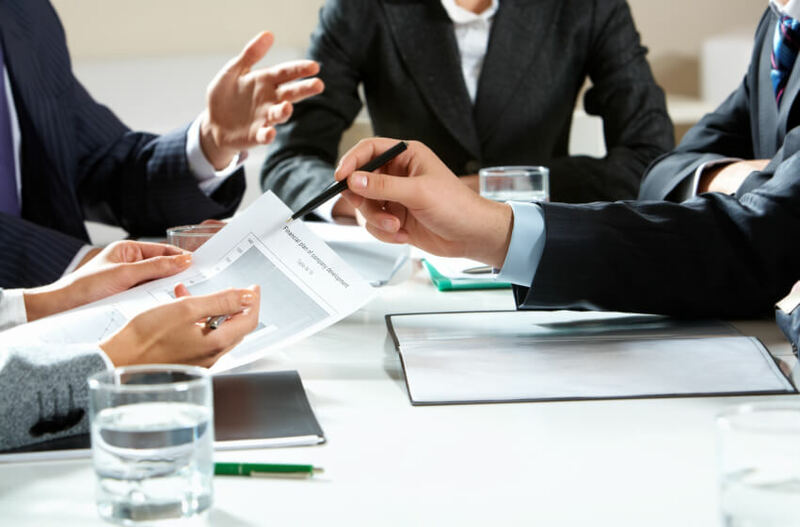 Member feedback, former auditor-general Ian McPhee's review and industry benchmarking have collectively and categorically shown the remuneration spend on the previous board and CEO were exorbitant. In a communication to members this afternoon, CPA Australia said it has set director remuneration at $75,000, which is 24 per cent less than previous remuneration figures. The president and chair role has been set at a three multiple on the basic director fee. Deputy president roles have been set at a 1.5 multiple on the basic director fee. Further, from January 2018, no directors of CPA Australia will sit on the boards of CPA Australia subsidiaries, including its licensing arm, CPA Advice. The association's advice business has struggled from the outset to attract members, and as a business has fallen well short of projected KPIs. It is currently under review, as per recommendations from Mr McPhee's review. This is against a backdrop of general dissatisfaction and disinterest with the forced AFSL regime for accountants giving SMSF-related services. “Remuneration levels for the CPA Australia Advice Board have also been set at a lower level and the higher duties allowance associated with CPA Australia Advice where it existed for selected senior executives at CPA Australia (e.g. the two COO roles at $185,000) has been removed,” the board’s statement said. A letter to CPA Australia chair Peter Wilson from Godfrey Remuneration group, which acted as advisers to CPA Australia on remuneration practices, said it understands remuneration for the chair of CPA Advice will be $90,000 and for a director it will be $45,000. Fees for board committee work will be set at $10,000 per director, excluding the chair. The new CPA Australia board will also not be proceeding with legal action against the former board, after advising members in mid-December it was making inquiries about the $4.9 million termination payout of Mr Malley. Board remuneration, and the agreed salary and payout terms of Mr Malley, have been a cause of intense frustration and grief for CPA members. “The board is of the view that there is no basis to take action against CPA Australia’s past directors,” today’s statement said. “Having reviewed the circumstances of these events during 2017, the new board understands the strong concern that many members feel having been put through this experience.